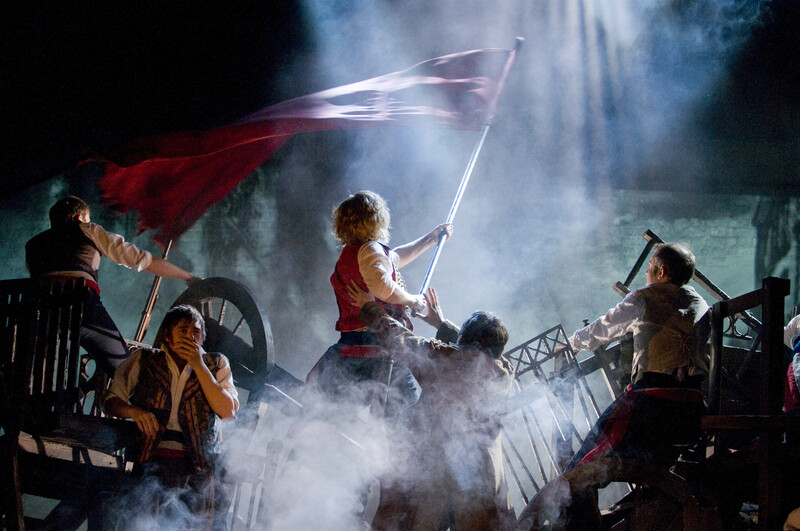 Review: Les Misérables (touring) Curve Leicester until Sat 24th November 2018. – East Midlands Theatre. 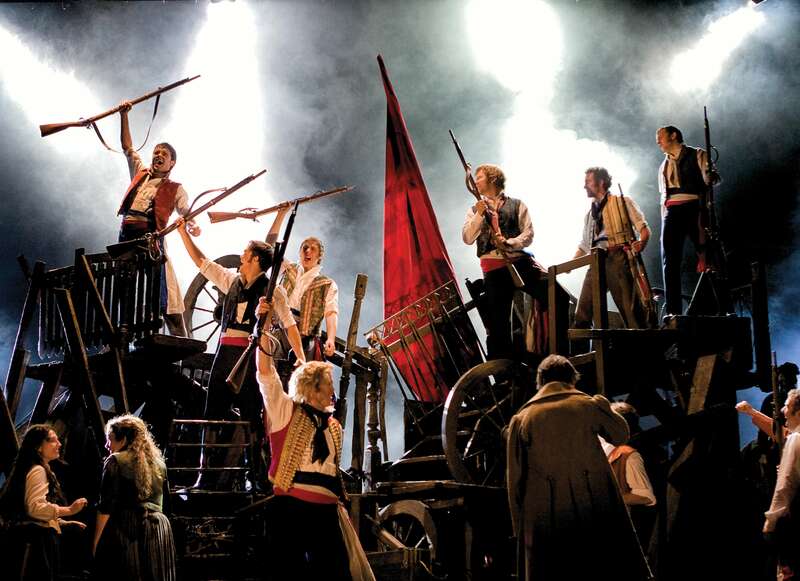 This reviewer last saw a live production of Les Misérables in 1987 close to the beginnings of the show’s long standing success in the world of musical theatre. It was with the original London cast and the soundtrack (a double album on vinyl) got played to death. The innovation of CDs came along and over time this reviewer has purchased the original French concept album, the original 1985 cast album, a full length concert version, a German language version, the Les Misérables Live! cast album, the DVDs of the 10th Anniversary Concert at The Royal Albert Hall, the In Concert 25th Anniversary at the O2, the Universal Studios Film and two books dedicated to the show. You might call myself a big fan. For those unfamiliar with the work, Les Misérables was a novel written by French novelist and poet Victor Hugo and was turned into a musical by Claude-Michel Schönberg and Alain Boublil. The original French text was also written with collaborator Jean-Marc Natel and the English lyrics written by Herbert Kretzmer. Additional material was added by James Fenton and the show was adapted by Trevor Nunn and John Caird. John Cameron wrote the original orchestration and new orchestrations have been created by Christopher Jahnke, Stephen Metcalfe and Stephen Brooker. Producer Cameron Mackintosh chose very wisely in producing this world wide musical theatre phenomenon. So finally, as a reviewer, one gets to witness the latest UK & Ireland touring version. Is the wait worth it? Absolument! C’est parfait! There is a real richness and aural and visual poetry about this superb production directed by Laurence Connor and James Powell. The set and image design by Matt Kinley, inspired by the paintings of Victor Hugo, are just supremely glorious. The structural and the projected aspects work exceptionally well together especially in the Paris street scenes. The moments in the Paris sewers are totally gripping and believable. The projections are realised by Fifty-nine productions. Apart from applause, the odd laugh and plenty of emotional sniffling at the end, there isn’t a single sound from the audience throughout apart from a pin dropping at one point. Curse that needle work group in tonight! Paule Constable’s lighting is pure theatre and picking out just a few from the many lighting highlights we would say that the lighting for the ABC Cafe has poetry written in every shaft of light and the terribly poignant lighting at the end of the barricade scenes illuminating each of the dead is heart-breaking. 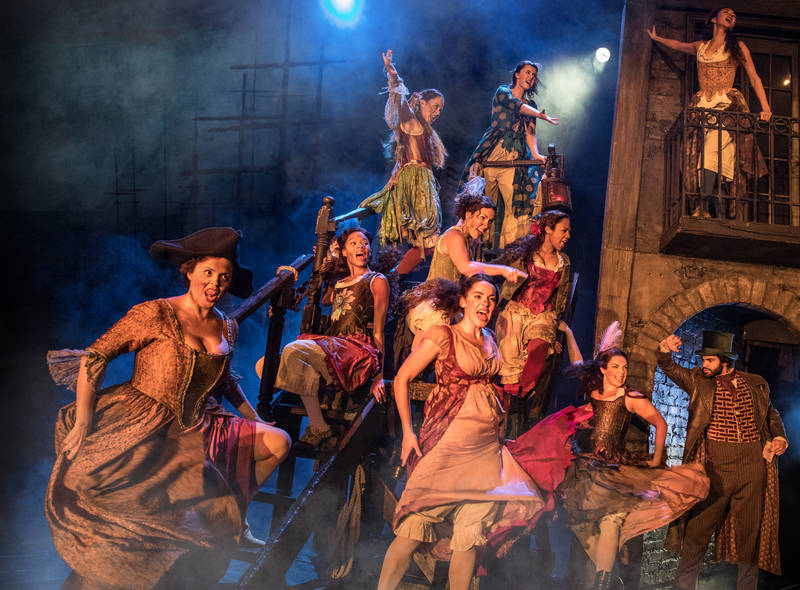 Given that there are thirty one wigs, three hundred and ninety-two costumes and one thousand seven hundred and eighty-two individual items of clothing involved in this production costumes designers Andreane Neofitou and Christine Rowland deserve a big round of applause themselves. Mick Potter’s sound design is pin sharp as are all the vocals from the excellent cast. Under the musical direction of Ben Atkinson his fourteen piece orchestra are blissfully dynamic in their musicianship and presentation. All of the hard working ensemble show real dedication to this touring production of Les Misérables and all of their characters shine through as real individuals. Particularly moving is the tender relationship between Gavroche (Rodney Watts on press night) and Grantaire (Ruben Van Keer). Young Eponine is played tonight by Isla Gie and little Cossette by Jumi Seligmann. 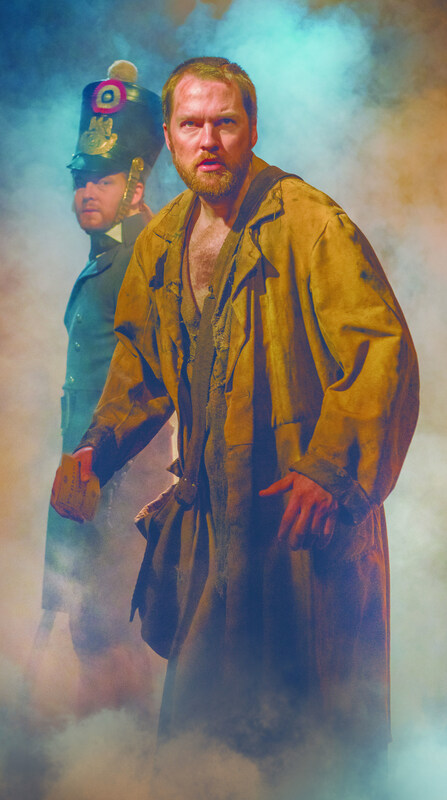 The two main principals are top notch in their depictions of Jean Valjean (Killian Donnelly), Javert (Nic Greenshields). Each actor brings a real depth to their character and individuality to their songs; so much so that one forgets any other interpretation one may have heard before. These are real solid and believable characters portrayed and sung exceptionally well with proper understanding of the lyrics. M.Thénardier (Martin Ball) and Mdme Thénardier (Sophie – Louise Dann) are the comedy element within the more serious drama of Victor Hugo’s nasty folk and both Ball and Dann get the balance right between playing for the laughs and showing us that the Thénardiers are really desperately opportunistic and heartless scum at heart. Other highlights of this production are Will Richardson’s politically passionate Enjolras, Harry Apps tender and vocally affecting Marius, Katie Hall’s much maligned Fantine, Tegan Bannister’s wonderfully tom boyish and street raw Eponine and Bronwen Hanson’s delightfully individualistic and characterful Cossette. Considering that it has taken this reviewer since 1987 to see another live show of Les Misérables he would happily return night after night to witness a version as totalement excellent as this is. A real plus cette belle soirée was seeing Cameron Mackintosh and Claude-Michel Schönberg in the audience. Another massive Les Mis fan- loved it since 2013. Started with film. Saw stage show 3x (community college) in 2013, 2015 (West End), and 2017 (US Tour). Good for you! You would love this new adaptation. It just gets better and better. In the new production, I loved the addition of color. It has a bit more Victor Hugo in it having the backdrop being his paintings. I loved how they showed the full scope of Paris. I loved the addition of candles during “Empty Chairs”- it made it more emotional. Etc. Review: Far From The Madding Crowd. Derby Guildhall.